Just a bit of my collection. Happiness! My reading room, so calm and relaxing. Clients have told me how much they love being in this room. I agree! As a tarot reader I am a coach, whose job is to guide you through all the elements that appear in the reading. You might be asking "What happens when I come to you for a reading?" 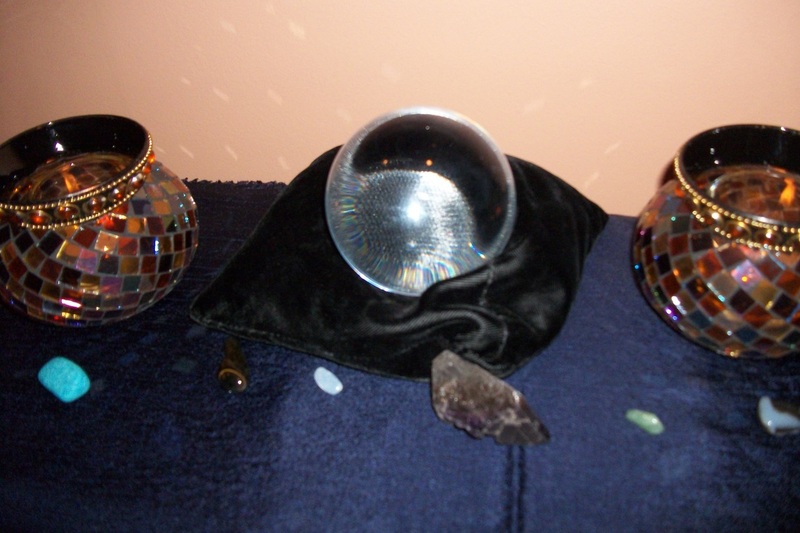 I set the tone for a Tarot Reading by grounding myself with my crystal ball to focus on the person who has come for the reading. In my reading room, I light candles to call upon our spirit guides for help in seeking the truth in our situation. I use aromatherapy to activate intuition and crystals to maximize our energy. We talk about the things you want to know, then choose the right oracle for it. 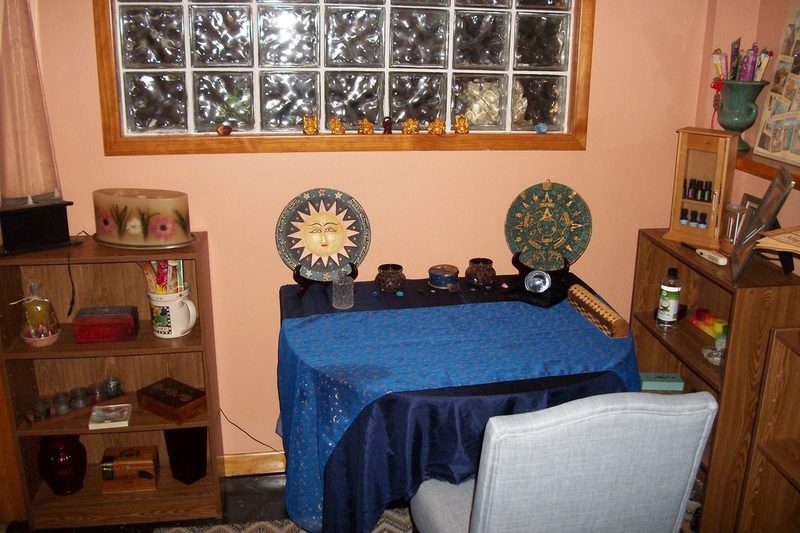 I have dozens of decks, oracle cards, stones and other means of divination that I have collected over the years and there are many layouts, called spreads, for the cards. Choosing the right tools for the question at hand is one of the many things going on in my mind before your reading starts. A glass of water is filled to absorb the energy that is collected during the reading. It is emptied when the reading is completed taking the energy collected with it. The deck is shuffled with the question in mind and the reading begins. We continue to ask and get answers from Tarot until you are satisfied you have the answers you need to address the situation at hand.